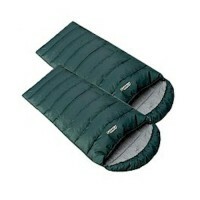 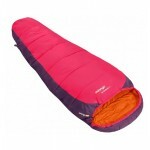 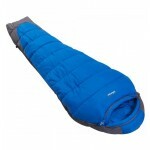 Vango Viper Sleeping Bags are the flagship range of Vango down sleeping bags. 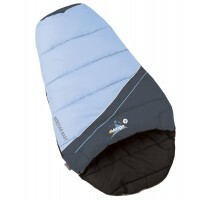 These are 90/10 goose down bags with 580+ fill power down and Advanced Trapezoid Construction (ATC) angled chevron baffles which prevents the down from shifting and increases thermal efficiency by slowing heat loss comparable to similar rectangular shaped baffles. 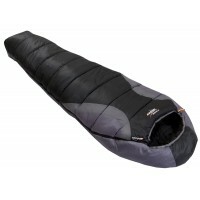 Complete with four panel profiled hood cinches in around the users head, the Vipers will withstand the that harshest of conditions and ensure heat loss is minimised. 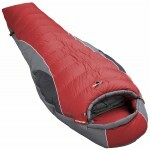 The Vango Viper 500 has the lowest performance rating in the range but is still a very solid full 3-season performer with an excellent relative (now there's a a contradiction!) 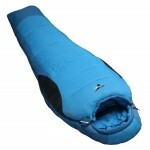 pack size and weight. 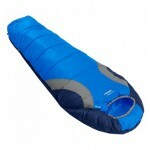 Vango Viper 500 Down Sleeping Bag.